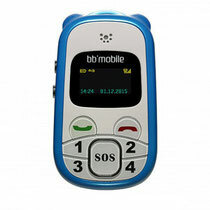 BB-mobile - a brand of mobile phones, which belongs to the Russian company "Business Office". The company was founded in 1996. And today the company's head office is located in Moscow. product assembly is done in China. From the outset, the company has been a distributor of mobile phones and computer technology throughout the CIS. She officially represented many well-known brands. In 2010 the company introduced its own line of phones and accessories. Currently, the brand focused mainly on the supply of non-standard for the market of electronic devices. Company BB-Mobile offers Russian customers a large range of products. Including tablet computers, Minifon, mobile phones, video door-eyes, headset and other equipment. It should be emphasized here that the range of products also includes interchangeable covers and various accessories, including holders and car. The company is constantly working to expand the geography of its presence and partnership network. In parallel, it is working to improve the level of service. In 2014, BB-mobile has introduced a new line of tablet computers Techno, equipped with a 3G module. In the same year there was an all-metal tablet computer Techno 8.0, which combined a tablet, smart phone and browser, as well as MOLOTOFF Techno 7.0, which was presented as a "device for the true patriots." Last year, the company had announced a new mobile device, the so-called "medfony". These were the first such devices in our country, Russia. They were VOIIS Comfort and VOIIS GPS, allowing the device to remotely configure and monitor the state of health. This year, the company had announced the release of TOPOL tablet. Due to the latest 8-core processor MediaTek device has high productivity and can even be used for gaming. In 2015 he appeared Techno W8.9 tablet with support for 3G. There are also some models of children's cell phones Discontinued release. Including apparatus called Dog. It is a function of voice changes. Special phones for kids include a parental control function, GPS-tracker and others. The company also provides a variety of suites and unusual device. To those, of course, applies digital peephole. Look - INFINIX Mobile Phones Manuals PDF.